After over two decades of gradual reconstruction it's finally ready. And Stadion Śląski drew massive crowds of almost 100,000 people for its reopening community day! Despite numerous historians' insight into this legendary stadium, to this day there's no certainty about how many events with crowds of 100,000 and more there were. By our count Stadion Śląski saw 100,000 people (or more) on nine occasions between 1957 and 1973 and yesterday may have been the tenth one. Or at least that's what the Silesian government claims by suggesting there may have been almost 100,000 visitors browsing through the building on Sunday. It's a number particularly impressive when you consider there was no major event other than the stadium's reopening. 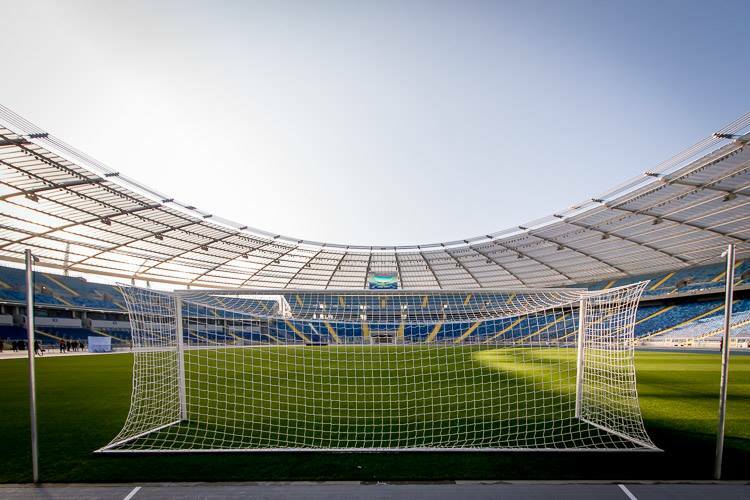 As deadline after deadline passed during its reconstruction, Stadion Śląski was subject to numerous speculations about which world class musicians will play the first concert or what international game will be held to commemorate its reopening. And despite the biggest attraction being the finish line of Silesia Marathon and an oldboy football game, the attendance was stunning. 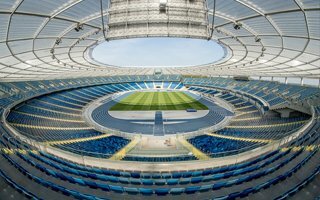 The crowds shouldn't be surprising as it's by far the largest stadium being opened in Poland since the Euro 2012 preparations had concluded. With 54,378 seats it's the country's second largest stadium overall and single largest venue for athletics and concerts (up to 85,000 capacity depending on stage layout). Its corporate hospitality area is very modest compared to other stadia of this scale but that may be for the best. 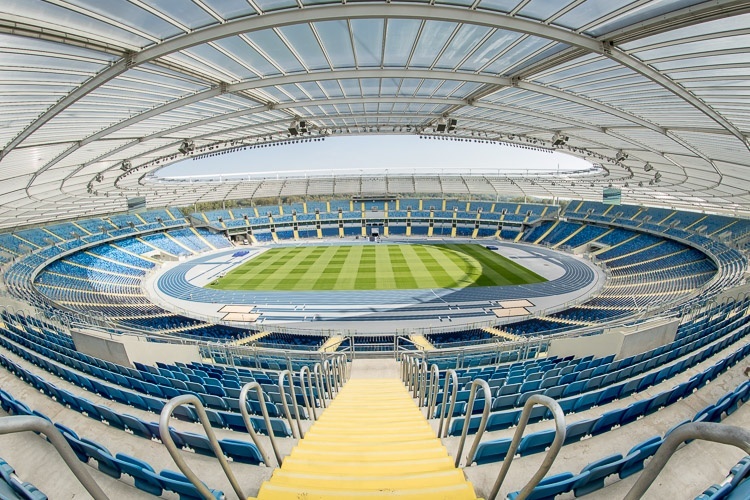 Just over 2,000 premium seats altogether (1,777 in the stands and under 400 in 25 boxes) should be filled for major events, while several other Polish stadia struggle to sell out their hospitality areas. The much larger problem is finding a long term tenant or operating model for the stadium. Ruch Chorzów, the long-anticipated host club, is struggling to stay afloat at the moment and simply cannot afford moving to a 50,000+ ground, which means no weekly football use. Together with extremely long reconstruction period (first phase began in 1990s and final one in 2009) the threat of becoming a white elephant is source for major concern. For the moment, however, the tone in domestic media is triumphant as the famous “Cauldron of witches” came back to life and once more attracted amazing number of visitors.